Easy Corn Korma Recipe | Wishesh.com Explore the taste of Easy Corn Korma Recipe. This dish is spicy, tasty, and easy to make. It is best for any occasion. 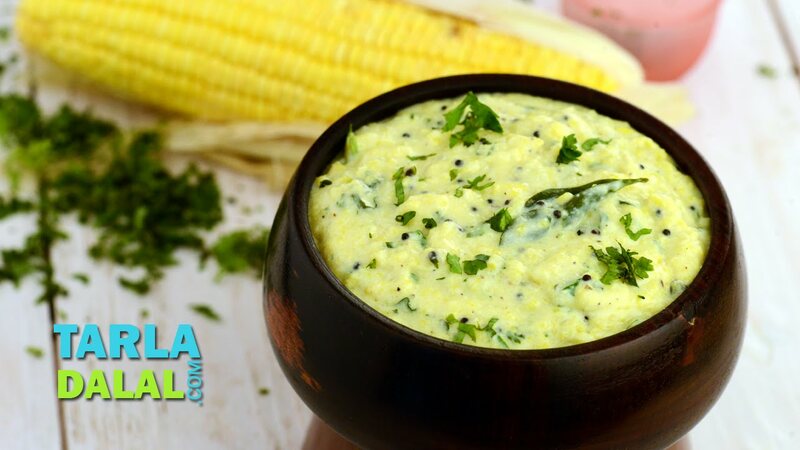 Corn Korma is a tasty and a perfect Indian dish that you can easily prepare at your home. This dish has a wonderful flavor, thick texture, and also has a fantastic taste. This dish is perfect for vegetarian and perfect for a weekend dinner. Try this easy dish at your home and surprise your family members. 1.In a add grated coconut, peppercorns and a little water and blend to a smooth paste and keep it aside. 2.In a bowl, add plain flour and milk, mix it well and keep it aside. 3.Heat the oil in a broad non-stick pan and add the mustard seeds and when the seeds crackle, add the asafoetida, curry leaves and green chilies and fry on a medium flame for a few seconds. 4.Add the sweet corn, mix it well and cook on a slow flame for 2 to 3 minutes and stir occasionally. 5.Add the salt, plain flour-milk mixture and the coconut-peppercorn paste, mix it well and cook on a low flame for 1 to 2 minutes and stir continuously. 6.Add the coriander, mix it well and cook on a medium flame for 1 minute and stir continuously. 7.Switch off the flame and garnish with coriander leaves and serve with rice or paratha. Easy Corn Korma Recipe Food Recipe Indian Recipes Korma Recipes. Healthy Apple, Tomato and truffle soup! How to make Kerala egg roast?